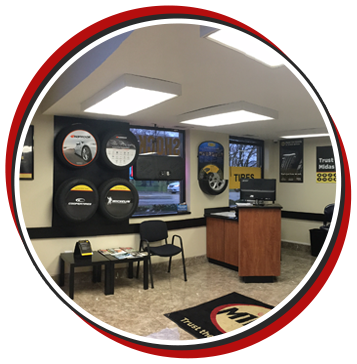 Arlington Midas has 4 locations to assure you that you are never far away from a complete service repair shop. If you need brakes, tune-up, wheel alignment, or an oil change, we are always ready to help. Our skilled ASE-certified technicians can identify the problem and have your car back on the road in no time. Our business is licensed, bonded, and insured. We use the latest state-of-the-art computerized wheel alignment and tire-changing machines that can handle low-profile tires on fancy wheels without damaging them. Drop off your car or wait while we fix it. You can use our free Wi-Fi, watch TV, or read magazines while we work. We also can give a ride back to your home or office if it is located within a 5-mile radius of our shop. We service domestic, European, and Asian makes and models of vehicles. Fleet cars, buses, and trucks are also welcome.